VANCOUVER, BRITISH COLUMBIA--(Marketwire - Feb. 12, 2013) - PortaLife Solutions Inc., creator of Carrotlines, a healthy eating iPhone app for Canadians, has partnered with former Canadian Football League star turned celebrity fitness trainer and television host, Tommy Europe to offer Carrotlines powered by Tommy Europe. The new product adds exclusive access to brief fitness and nutrition videos from Tommy Europe™ and a browse and search that help consumers discover healthy food options before going shopping. 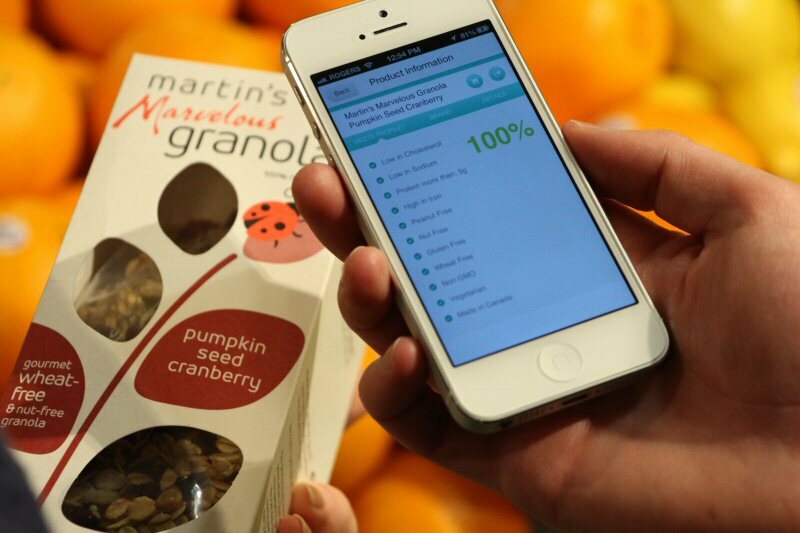 The new features expand on the original app used to quickly glean information from food labels for individualized nutritional needs via the bar code. According to a January 2012 Neilson study, over 59% of consumers are confused by food nutrition labels. 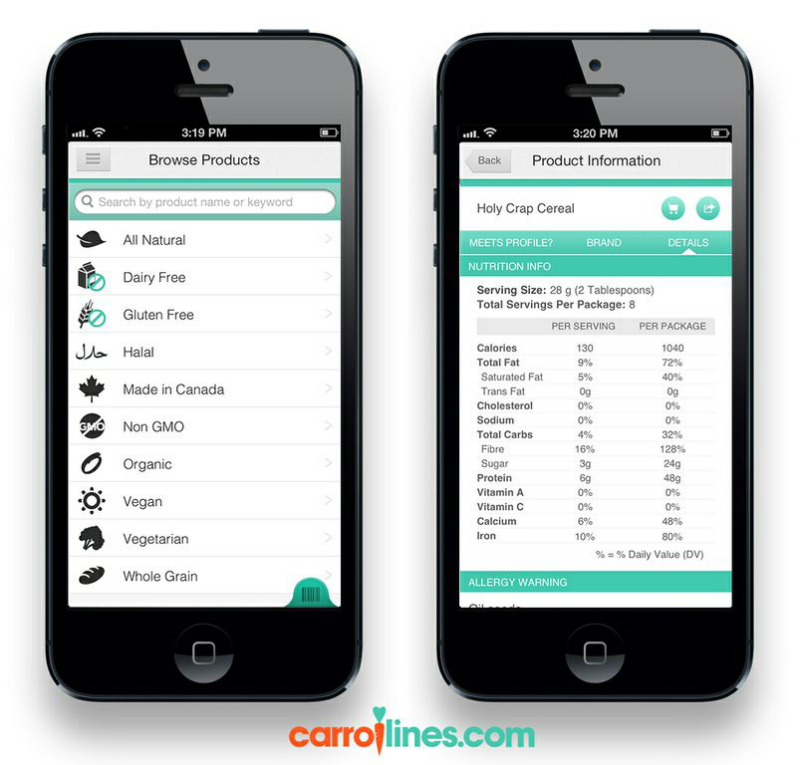 "Carrotlines was designed to help Canadians break through food label confusion and apply information to their personal nutritional profile and goals. By providing fitness and nutritional content from Tommy Europe combined with the ability to search for food options that fit your profile Canadians can keep on top of both their nutrition and fitness goals - at the grocery store, the gym, or at home - all with their iPhone," says Wahiba Chair, CEO of PortaLife Solutions. "Having Carrotlines powered by Tommy Europe on your iPhone is the next best thing to having him with you when you shop." "I want to make it easier for Canadians to combine healthy eating and fitness in their daily lives. Carrotlines powered by Tommy Europe is an easy and effective way to take control of your eating," says Tommy Europe, the host of Tommy Europe TV and Slice TV's "The Last 10 Pounds Bootcamp" and "Bulging Brides". Europe went on to say that most shopping decisions are made before entering the store, making the browse and search feature on the application a practical method to help shoppers narrow down their choices and create a healthy eating shopping list before facing unhealthy options at the grocery store. Carrotlines powered by Tommy Europe iPhone application allows users to set a personal profile based on food goals they care about like nutrition, allergies or sensitivities or lifestyle goals. Users can choose one of Tommy Europe's recommended profiles or create their own based on 40 attributes like low in fat, gluten free, vegan, non genetically modified or made in Canada to find a perfect match to their profile needs in a database of over 40,000 grocery food products. During launch period, anyone who downloads the app is automatically entered to win prizes, valued in total at CAD $4000, from CarrotLines partners and sponsors. PortaLife Solutions is the Vancouver BC based developer of top Canadian nutrition consumer app, Carrotlines™ and updated version, Carrotlines powered by Tommy Europe™. Founded in 2010, by Wahiba Chair, the company originally created an iPhone application that used the barcode on food labels to help Canadians choose food brands that match their nutrition needs. The partnership with Slice TV host of Bulging Brides and Last Ten Pounds Bootcamp, Tommy Europe adds nutritional profiles created by the well known Canadian fitness trainer plus exclusive fitness and nutrition video content. Carrotlines works with food brands not only to ensure their products are listed within the application but also to use the Carrotlines app as a marketing platform to feature their brand and products to Carrotlines users and across the extensive Carrotlines social media community. CarrotLines has garnered serious media attention including on CNN, CBC, Radio Canada, The National Post, BNN, and The Vancouver Sun. For more information visit www.CarrotLines.com or follow CarrotLines on Twitter and Facebook for the latest in health and fitness. Note to editors: High resolution images of Tommy Europe along with the application and sample videos are available. About this company PortaLife Solutions Inc.
Canadian shoppers can easily browse or search for healthier food options that meet their lifestyle choices such as vegan, gluten free, organic and Non-GMO. These foods can then be added to a shopping list.